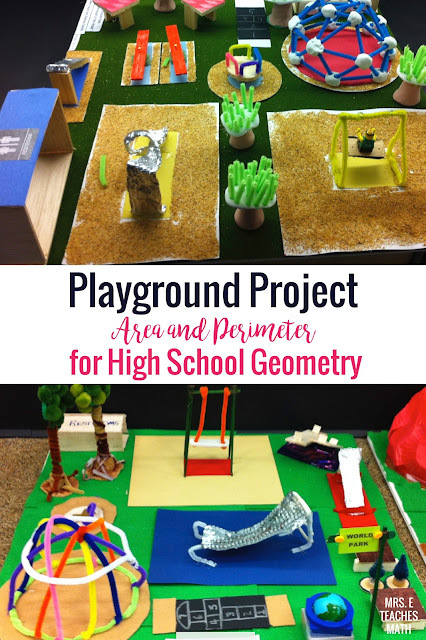 In Geometry, we just finished up our Area and Perimeter unit. 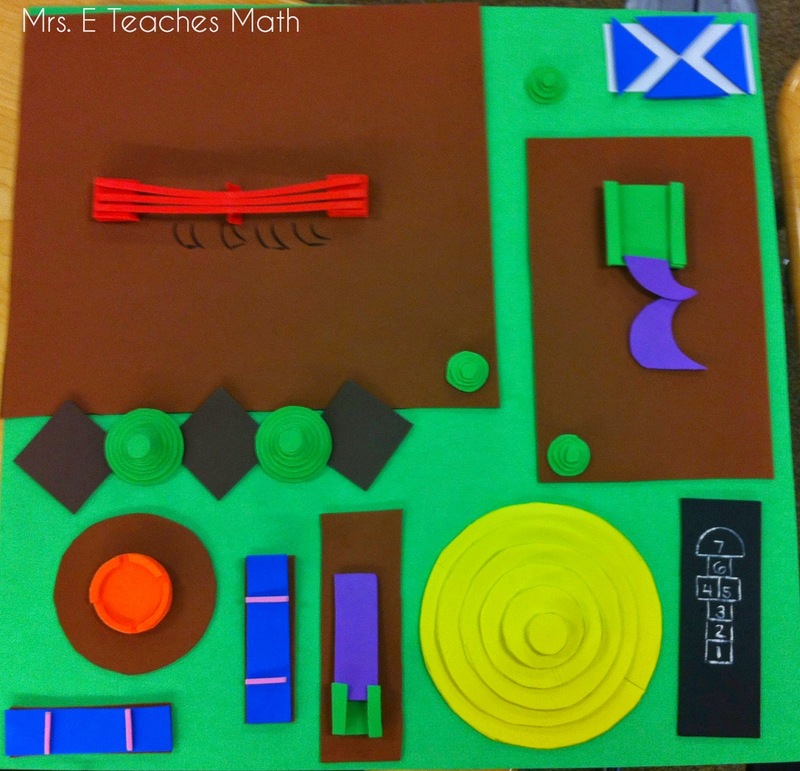 My students did a project that was inspired by an Illuminations project by NCTM. 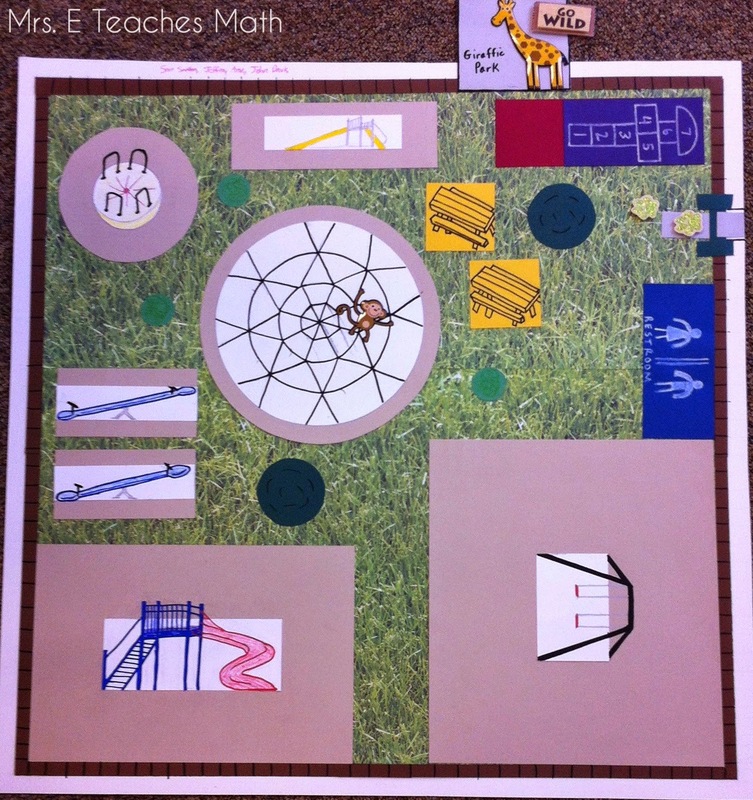 My students had to design their own playground. They were given a certain amount of fencing to enclose the park and the dimensions of the playground equipment needed. Then, they had to place their playground equipment in the park. They also had to calculate the amount of sand and grass needed in the park. 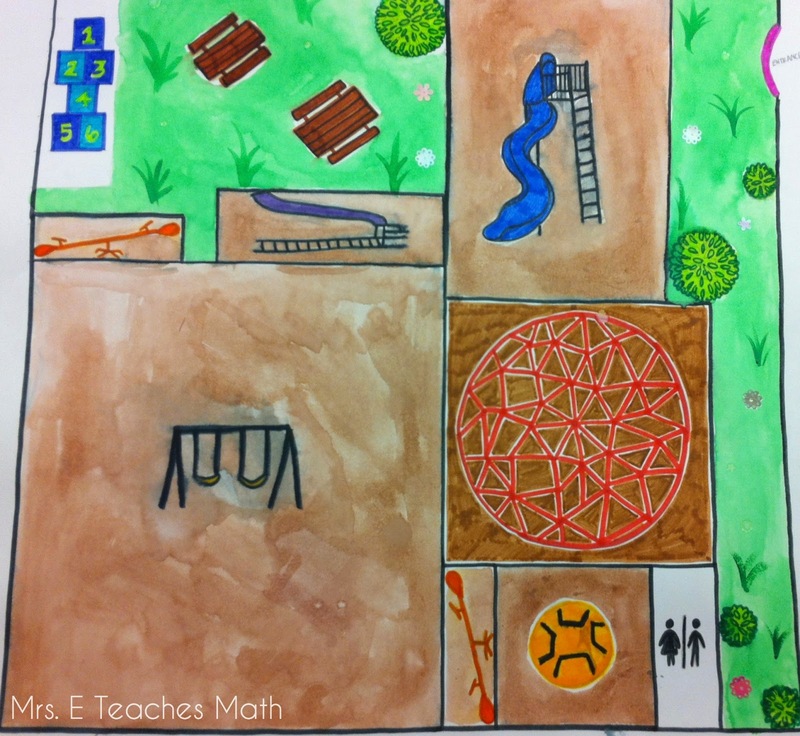 The students also had to make a scale drawing of their playground. I gave them the option of drawing it on a poster or creating a 3D diorama. You can see the rubric I used here. It isn't perfect, but it's getting better the longer I do this project. Last year, I made the students type up their calculations and write their answers in paragraph form. It was a pain for me to grade, and I don't think the students benefitted from typing their answers. This year, I gave the students a table to fill in with their answers. 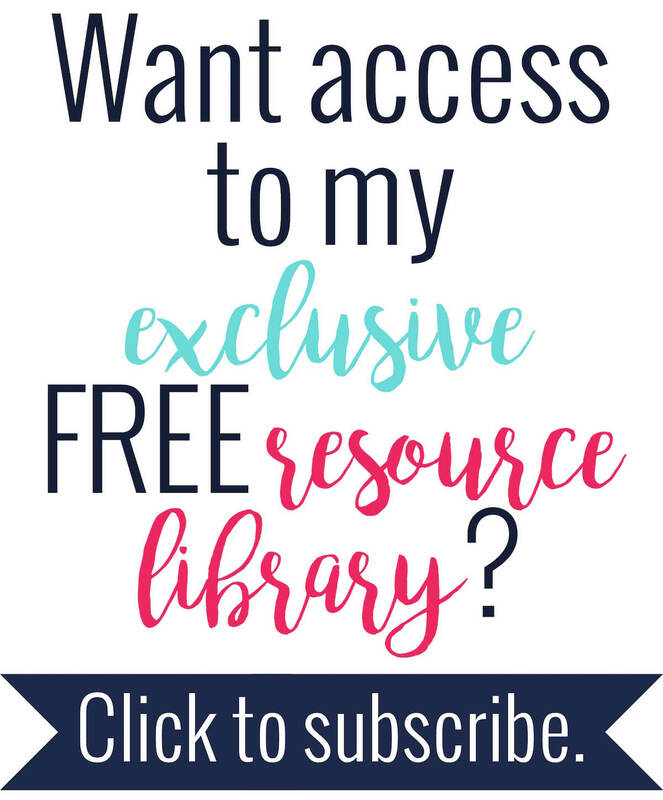 Honestly, I feel like this project should have been a huge grade booster for my students. This project was created by NCTM for middle school, but I did beef it up a little bit for high school. However, about half of my students didn't follow directions at all and ended up missing free points. I can't say that I'm surprised. Here are some of the final projects from my kids last year and this year. Some of them are so creative! Everything moves! The see-saws move and the swing moves back and forth. The monkey on the jungle gym totally cracks me up. Notice the Lego man on the swing? 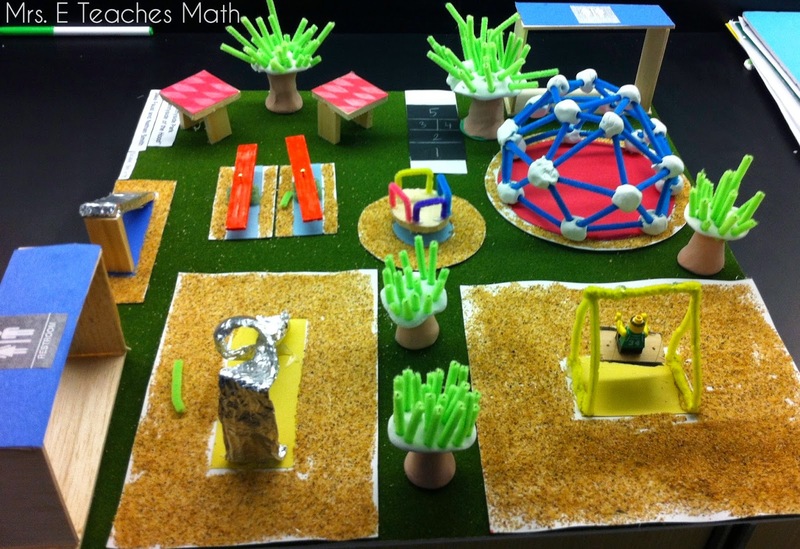 These projects look great!! How much class time did you allot? How much was expected to be done at home? 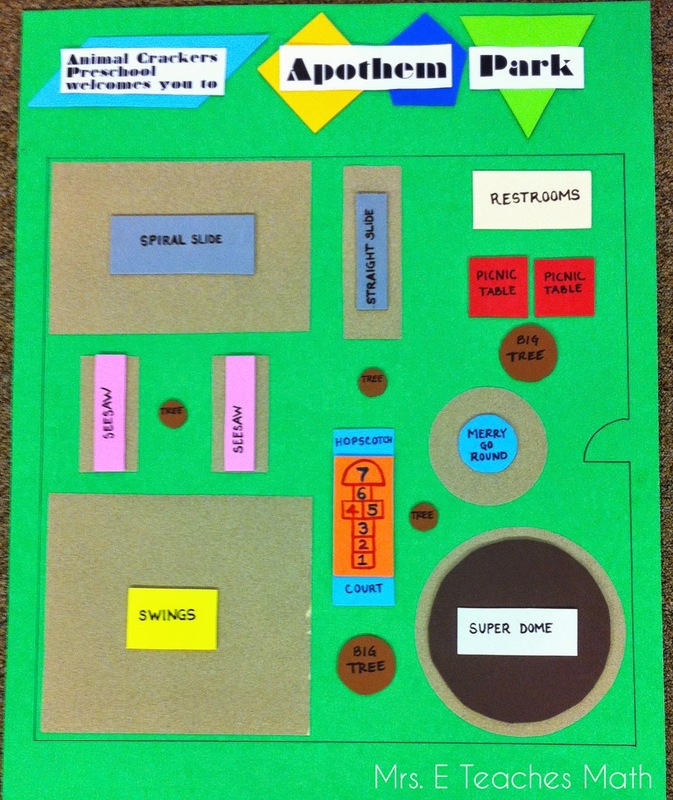 Please let me know if the students came up with different dimensions to maximize the area or different ones? I mean did they all come up with a square garden or a rectangular garden? shikha, they all ended up coming up with the same dimensions for the max area. however, you could give each group a different amount of fencing, so they would have different dimensions. Just curious, how many weeks did students have to complete the project? Renee, I think I gave them 2 weeks to complete the project. However, I only gave them one "planning" day in class. The day I assigned the project I gave them the entire period to work and ask questions. After that, they had to see me before/after school with questions. I also let them give me a rough draft and I gave feedback, for those that wanted to do that.